Our Abpromise guarantee covers the use of ab18181 in the following tested applications. 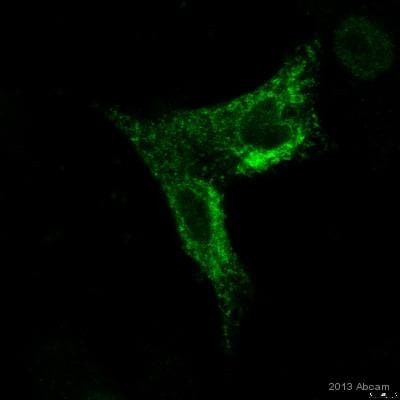 ab18181 staining HA tag (green) in HeLa cells by Immunocytochemistry/ Immunofluorescence. 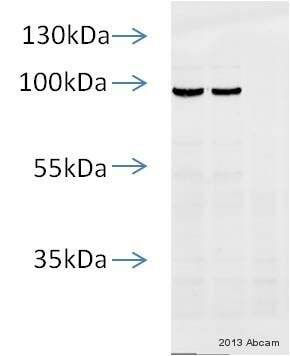 Cells were fixed with paraformaldehyde, permeabilized with 0.5% Triton X-100 and blocked with 3% BSA for 1 hour at 22°C. Samples were incubated with primary antibody (1/1000 in diluent) for 1 hour at 22°C. 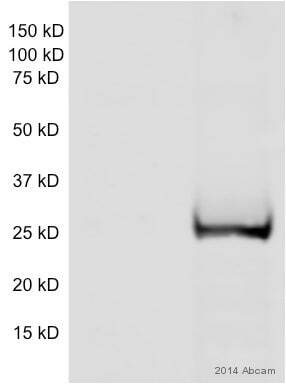 A FITC-conjugated goat anti-mouse polyclonal IgG (1/1000) was used as the secondary antibody. Nuclei were stained with DAPI (blue). 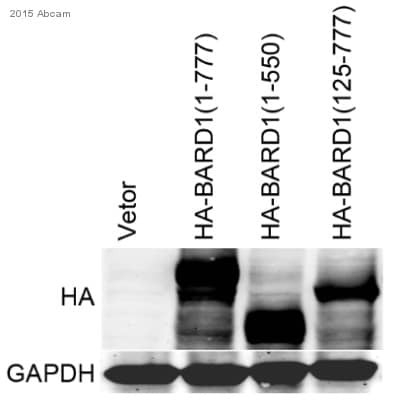 Western blot using ab18181 of 293 cells transfected with HA-tagged vector(2) and untransfected control (1). 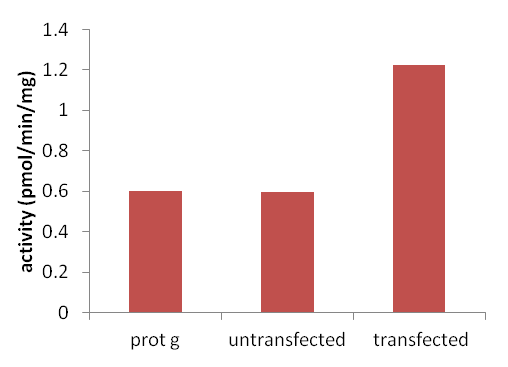 Western blot using ab18181 of 293 cells transfected with HA-tagged vector(2) and untransfected control (1). 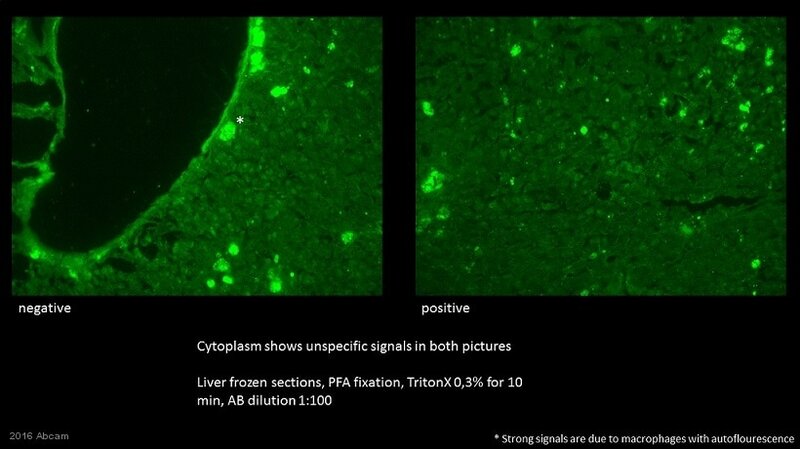 Immunofluorescence using ab18181 staining a HA-tag fusion protein (transcription factor) in a stable expressing cell line (right hand panel) and control cell line (left hand panel). Incubation with the primary antibody was carried out at 4°C overnight, whilst the secondary antibody was incubated for 1 hour at room temperature. Publishing research using ab18181? Please let us know so that we can cite the reference in this datasheet.